Sixt offers top quality, affordable car rental in Freudenstadt, Germany- Take advantage of our premium fleet of vehicles and move about the area in comfort and ease. From economy to luxury car rental options we can meet what you have in mind for your rent a car in Freudenstadt. You can choose your car rental in Freudenstadt from our up-to-date compact cars and sedans, sports cars and convertibles and SUVs. As well as a great selection of leading brand vehicles, we offer many optional extras to make your trip to Freudenstadt smooth and seamless. Book online or over the phone and include add-ons like GPS, additional driver coverage, child seats, unlimited mileage and more. However, please be aware that we can only guarantee your rent a car in Freudenstadt for the car category as specific vehicle models are subject to availability. With your car rental in Freudenstadt, you can easily tour around the attractions of this region of Germany. Be sure to visit the Freundenstadt market square at some point as it is the largest of its kind in Germany. Your rental car also provides perfect access to the beauty of the Black Forest. Take a ride down the scenic Black Forest Ridgeway, which runs from Freudenstadt to Baden-Baden, and take in breathtaking views of the Black Forest, the Rhine Valley and the Vosges mountains. Keep your camera within reach as there are plenty of opportunities to take some amazing shots! Another well recommended destination to check out with your rent a car in Freundentadt is the the Experimenta, an interesting and interactive museum. 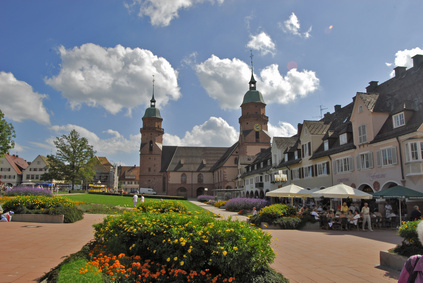 See and do more while Freudenstadt with a reliable rental car from Sixt. We hope you enjoy the drive!